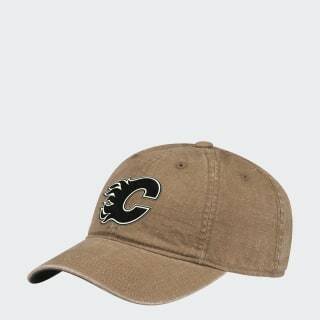 An adjustable cotton hat for Calgary Flames fans. Celebrate every game-winning goal the Flames make. This cap salutes Calgary hockey. Made of soft cotton ripstop, the hat has an adjustable closure for a perfect fit. An embroidered team crest displays your loyalty to the Flames.